Since the release of “The Mix” we had heard nothing from Kraftwerk. That was 12 year previously. In music industry terms this gap was geological in scale. Whole new continents of electronic music formed, were eroded by critical storms and disappeared. Yet in Kraftwerk’s universe time looked as if it had stopped. Members have left. Members have joined. The core duo of Ralf and Florian remained. 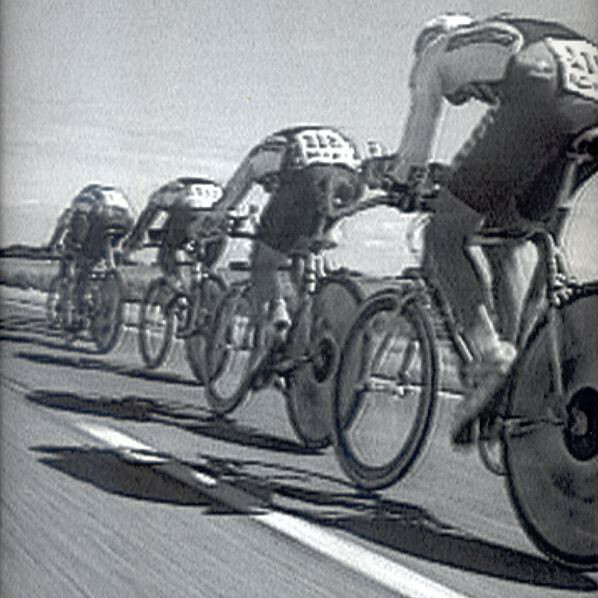 They go cycling. They don’t give interviews. Every day they turn up at their Kling Klang studio in Dusseldorf and work…on what? Well, at last we know. 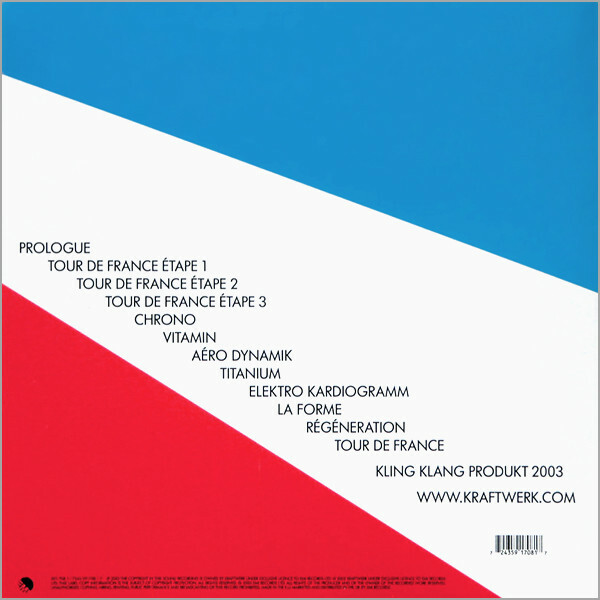 “Tour de France Soundtracks” is Kraftwerk’s tenth studio album, released in August 2003. 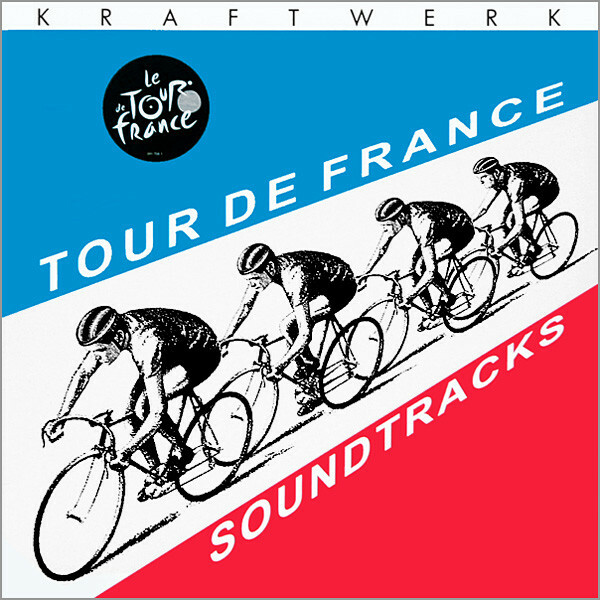 The album was recorded for the 100th anniversary of the first Tour de France bicycle race, but it missed its intended release date for the actual tour. It includes a new recording of their 1983 single of the same name. The announcement of the release caused much anticipation, as it had been 17 years since the group had put out a full album of new studio material (1986’s “Electric Café“). 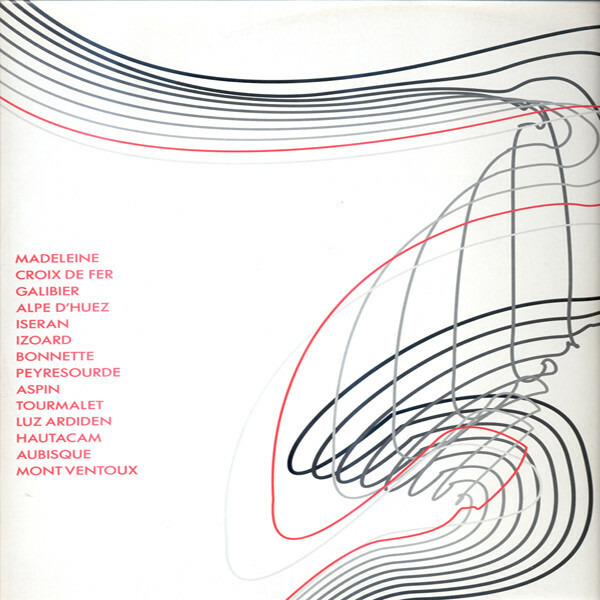 Unusually it did not have separate German and international vocal mixes, but was released only in one version, with a mix of French, German and English. Since this albums release there has been nothing new on the material front. However Kraftwerk have been touring the world with innovative concerts, now with 3D visuals and 3D sound. It would be impossible for this album to ever have the same effect that, say, “Trans Europe Express” did in 1977. Yet who could deny that their hermetically sealed world is still alluring? It just no longer points the way to the future. Ralf, Florian, Fritz and Henning are still the masters of being, well…Kraftwerk!